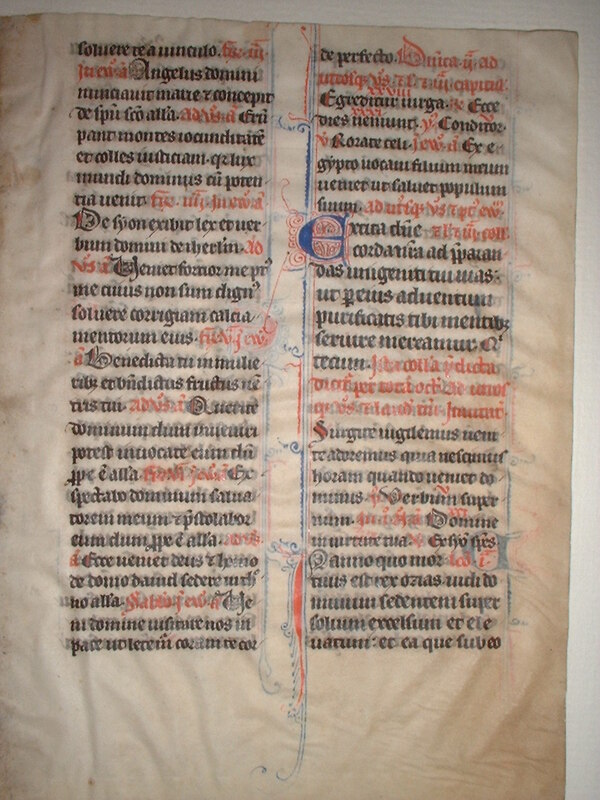 This leaf is from a French breviary from the late 13th century, and it provides directions to members of the clergy for the services throughout the church year. 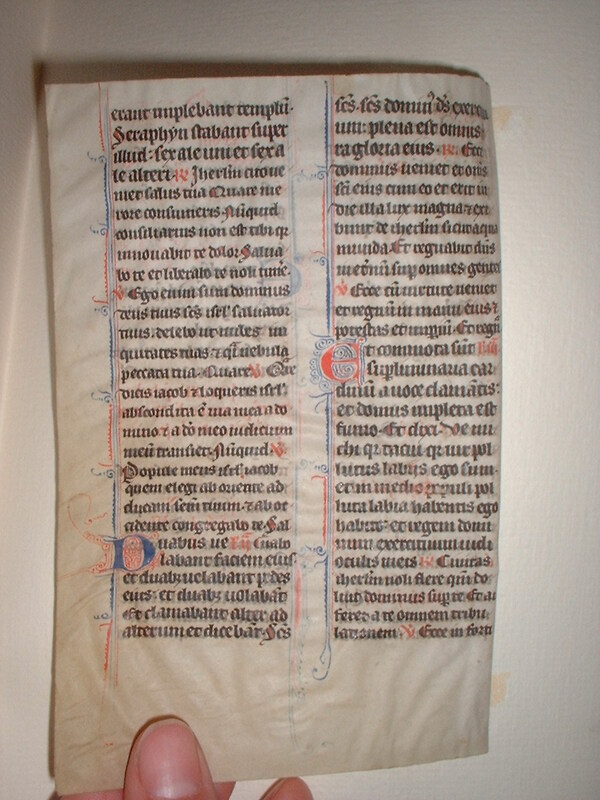 The leading characteristic of these leaves, which measure 15 x 11.5 cm, is the alternating red and blue scrollwork along the left margin of some of the columns. Together with the large initials (red with blue scrolling, or blue with red scrolling), the text of this otherwise limited-use book gains a special beauty. The text is written in dark black ink in two sizes, larger for readings and smaller for responses and prayers. The recto of each leaf bears a rubricated Roman numeral. See Denison University Leaf 18 for more information about this manuscript.